If you miss the days of sitting around your living room TV to beat up your friends in Super Smash Bros. Melee, you wouldn't be alone. The GameCube title was incredibly popular, and for good reason - in addition to being a much more polished, expansive, and at times brutal beat-em-up than the original N64 game, Melee had one particularly great thing going for it: The GameCube controller itself. The controller was widely praised for its comfort and ease of use, which is part of the reason it was available for use in the next Super Smash Bros. game for Wii, Brawl. Nintendo also sold adapters for the Wii U's Super Smash Bros. title. With that in mind, it's unsurprising to see the company bring the controllers back for the Switch's upcoming Super Smash Bros. Ultimate. 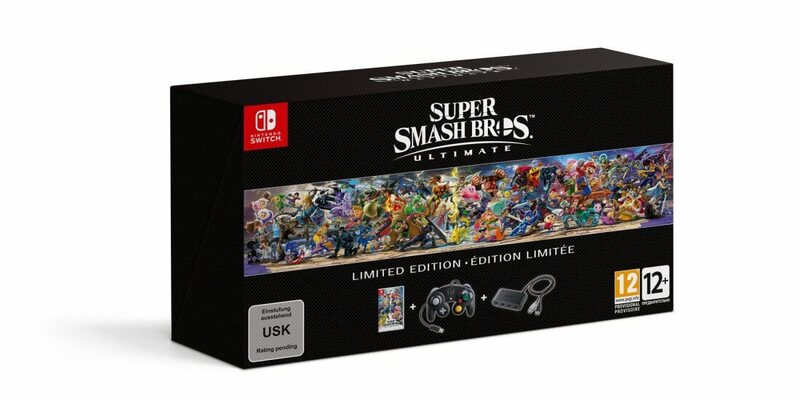 Nintendo of Europe today announced that Ultimate's Limited Edition will ship with a GameCube controller and an accompanying 4-slot dock. The dock will plug into the Switch console itself, seemingly allowing for up to 4 GameCube controllers to be used at any given time. It's not clear how much the Ultimate Limited Edition will cost, but it will release "alongside" the base game on December 7 this year. If you'd prefer to pick up an Ultimate-edition GameCube controller and its accompanying adapter as two standalone products, you can pre-order the devices for $30 and $20 respectively on Amazon.